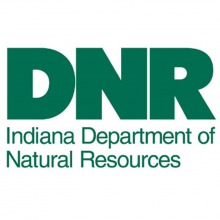 “Forests at Work,” a video collaboration of the DNR Division of Forestry and WFYI Public Television has received a first-place “Best in Indiana Award” in the category of environmental reporting for 2012. The award was presented by the Indiana Professional Chapter of the Society of Professional Journalists (SPJ). The SPJ awards recognize the most outstanding work of the year in Indiana print, broadcast and online journalism. Submissions from Indiana are judged by SPJ members from throughout the United States to maintain impartiality. In 2011 the DNR Forestry started working with WFYI to produce the hour-long show as part of WFYI’s “Indiana Expeditions” series. The show aired in April 2012. The SPJ award is the second first-place award the video has won. Last year, the national Society of American Foresters named Indiana a first-place winner for the video as a “State Society Success Story” of 2012. Copies of the DVD can be purchased for $10 with checks made out to “IFEF-PLT” and sent to “Forests At Work” Video, Division of Forestry, 402 W. Washington, Rm. W296, Indianapolis, IN 46204.